Well pumps are used to deliver water from a well to a home that is not connected to a municipal water supply. They are also used for small-scale irrigation and livestock watering. 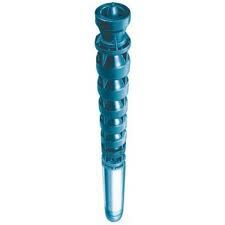 Well pumps are available in shallow, deep well convertible, and submersible designs. Shallow Well Jet Pumps use centrifugal force to create suction and draw water up from a well in areas where the water table is located less than 25 feet below the ground. They are electrically powered and commonly mounted on pressure tanks. Because they use water to draw water, shallow well pumps must be primed in order to operate. A check valve in the pump’s feed line prevents water from flowing backwards. Convertible Deep Well Jet Pumps are used in applications where water is located more than 25 feet underground. These pumps sit above ground but are equipped with a submersible jet ejector assembly that can be used to increase their operating depth to about 90 feet. A foot valve facilitates pump priming and keeps water from flowing backwards. 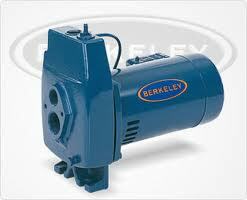 Deep Well Submersible Pumps are commonly used in applications deeper than 90 feet. These pumps are submerged in a well and pump water up through a single pipe connected to a pressure tank. They are more efficient than jet pumps but can be harder to maintain as pump or motor problems often require pulling the unit up to ground level for repairs. In general, submersibles can function for 20 to 25 years without servicing. The size of a well pump directly affects its efficiency, lifespan and ultimate cost. An undersized pump will result in low water pressure, while an oversized model will consume more energy than necessary. Both scenarios will result in excessive wear on the system. • The water pressure required (psi). • The level of your water source. • The total number of stories the water will be pumped (vertical lift). • The amount of water the pump must deliver during peak hours in gpm. Assuming all of the parameters fall within a normal range, a two-storey, two bathroom residential system with an average demand of about 12 gpm can generally function with a ½ horsepower (hp) well pump. 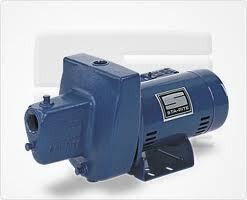 Larger applications of 15 gpm or more will require a more powerful pump. A pressure tank helps maintain even water pressure. A check valve keeps water from flowing backwards in shallow well jet pumps. A foot valve keeps water from flowing backwards in convertible well pumps. Thermal and overload protection prevents motor burnout. A booster increases (psi) in shallow well pumps to maintain consistent water pressure. For detailed specs, manuals and reviews on the shallow well, deep well and submersible well pumps we stock and ship nationally, check out our product pages at www.pumpproducts.com or call us for details: 1-800-429-0800.